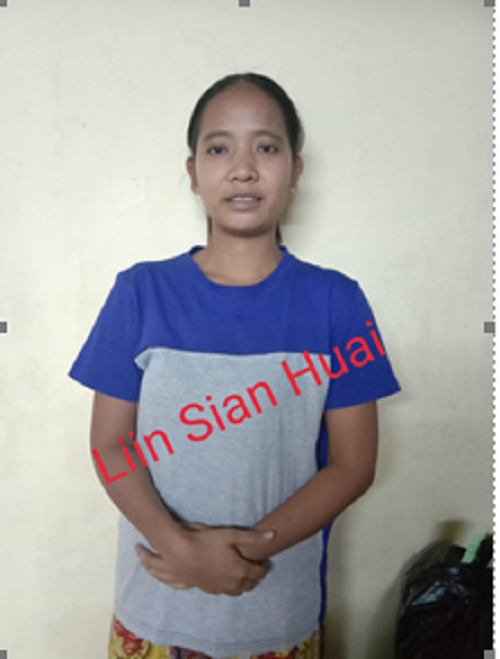 LIIN SIAN HUAI, New Maids from the Myanmar. She has experience in general household work like cleaning,laundry,ironing etc., she is responsible, confident and trustworthy. She has 1 children (7). She Speaks English. She is good with babies. She is good with children. She is good with elderly.